Cooperans has launched one initiative to better communicate on its activities and to support the EU-China dialogue. 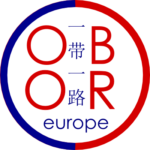 The OBOReurope platform aims at promoting the “One Belt, One Road” initiative (also known as Belt and Road Initiative) in Europe. The OBOR is a Chinese strategy to develop a new Silk road and increase trade between China and Europe.